MED-EL is dedicated to helping people everywhere enjoy the world of sound through our innovative hearing implant solutions. To learn more, visit www.medel.com or call 888-MED-EL-CI (633-3524). 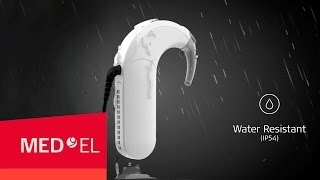 Since its founders developed one of the world’s first cochlear implants in 1975, MED-EL continues breaking new ground in hearing implant technology, developing and manufacturing innovative solutions for people with varying degrees of hearing loss. MED-EL hearing implant systems, used in over 100 countries, combine the latest scientific and engineering advances for performance, safety and reliability. Products available in the United States include the SYNCHRONY Cochlear Implant System, which includes the SYNCHRONY Cochlear Implant that merges exceptional hearing performance with unprecedented MRI safety, the lightweight, water-resistant SONNET audio processor, and the RONDO audio processor, with its fully integrated, cable-free design. 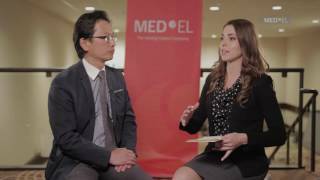 Additionally, MED-EL recently launched the SYNCHRONY EAS System, designed for candidates with high-frequency hearing loss. SYNCHRONY EAS combines electric stimulation of the high frequencies with acoustic amplification of the lows. Together, the two technologies cover the full range of hearing. For more information, visit www.medel.com or call 888-MED-EL-CI (633-3524). This course will introduce the unique needs of the Hispanic/Latino population as well as discuss ways to exhibit and implement cultural sensitivity and competency for effective counseling and delivery of hearing care services for this population. This course will introduce the learner to the BONEBRIDGE system by MED-EL, an active transcutaneous bone conduction device, and discuss how to program the device for their patients. This course will introduce the learner to the BONEBRIDGE from MED-EL, an active transcutaneous bone conduction device. This presentation will review a guideline of audiological assessment for young children with emphasis on skill acquisition. It will include discussion of formal and informal materials that may be used to monitor development of auditory skills progressing from awareness to discrimination to identification to comprehension. 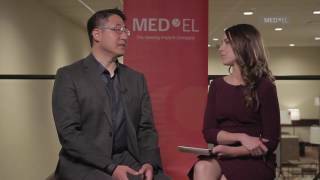 MED-EL Celebrates 20 Years of Sound in the U.S. 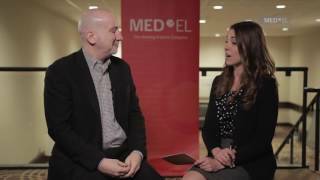 Learn about the benefits of MED-EL hearing implants and how they changed this user's life. 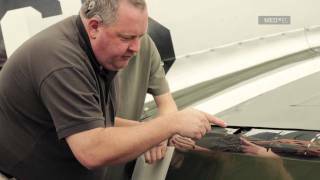 For more information, visit www.medel.com. Donn experienced sudden hearing loss but his cochlear implant allowed him to continue his career and enjoy life once again. Joshua's parents explain the importance of rehabilitation for their son who has bilateral MED-EL cochlear implants. 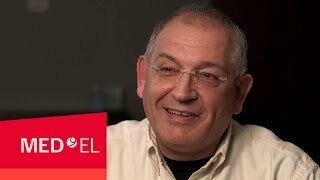 March 1, 2019 In honor of World Hearing Day on Sunday, March 3, I’m sharing some fun and exciting news from MED-EL USA. The company has selected their 2019 Ideas4Ears competition winner – 8-year-old Jaylin Macerinskas from Englewood, Colorado – who won a trip to MED-EL’s international headquarters in Austria in June! November 29, 2018 MED-EL USA announced today that the country’s first BONEBRIDGE™ Hearing Implant System surgery was completed at Texas Children’s Hospital. November 12, 2018 In honor of World Inventors‘ Day, the company is launching the 2018-19 Ideas4Ears Children’s Invention Contest. Last year, there were two winners from America who won a trip to MED-EL’s international headquarters in Innsbruck, Austria: Parker Welsh, 8, from Ozawkie, KS, and Avery Bennett, 12, from Chicago, IL. July 24, 2018 MED-EL USA announced today that the U.S. Food and Drug Administration (FDA) has granted de novo clearance for the BONEBRIDGE bone conduction hearing implant system for individuals 12 years and older who have been diagnosed with conductive hearing loss, mixed hearing loss, or single-sided deafness. May 17, 2018 The FDA has approved RONDO 2 Audio Processor with a revolutionary wireless charging pad. This is an industry first designed to charge the processor automatically, without extra wires and cables, and negate the need for disposable batteries. May 1, 2018 MED-EL USA, a leading provider of hearing implant solutions, today announced that the U.S. Food and Drug Administration (FDA) has cleared the next generation of non-surgical bone conduction hearing technology: ADHEAR. September 1, 2017 Campaign urges grandchildren and grandparents to connect on September 10, Grandparent’s Day.August 30, 2017 – (DURHAM, NC) – In honor of National Grandparent’s Day on September 10, hearing implant manufacturer MED-EL USA released new survey results that indicate a growing acceptance of conversations surrounding hearing loss. May 27, 2017 MED-EL has launched the latest issue of its flagship EXPLOREMAGAZINE, which aims to raise awareness about the importance of hearing loss through inspiring and extraordinary stories. In this edition, called EXPLORETIME, readers will discover the crucial role that time plays in our lives, and how it affects our decisions and structures our day. May 12, 2017 New Features Incorporate Microphone Directionality and Wind Noise Reduction.May 10, 2017 – (DURHAM, NC) – MED-EL USA announced today the availability of Automatic Sound Management (ASM) 2.0 features for the SONNET and SONNET EAS audio processors. May 2, 2017 Global competition launched to raise awareness of hearing loss and technology.May 1, 2017 – (DURHAM, NC) – MED-EL USA, a leading provider and inventor of hearing implant systems, today announced a search for future inventions through a global children’s competition, Ideas 4 Ears (www.Ideas4Ears.com). 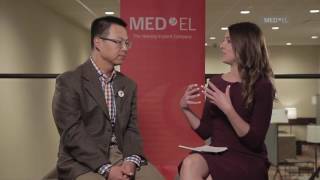 March 7, 2017 MED-EL launches campaign to promote greater hearing health globally.March 3, 2017 – (DURHAM, NC) – To mark World Hearing Day 2017, MED-EL, a leading provider of hearing implant solutions, is launching a global campaign to raise awareness of the importance of hearing health and addressing potential issues early. January 14, 2017 January 12, 2017 – (New York, NY) – More than 100 leading scientists and hearing health experts from around the world will gather starting today for a two-day scientific workshop sponsored by global hearing implant leader MED-EL. December 3, 2016 “MED-EL Music for the Holidays” Designed for Cochlear Implant Recipient and Family Enjoyment. September 20, 2016 92 percent of clinical trial participants report improvement hearing in background noise in the first 12 months.September 16, 2016 – (Durham, NC) – MED-EL USA announced today the FDA approval of the SYNCHRONY EAS (Electric Acoustic Stimulation) Hearing Implant System. 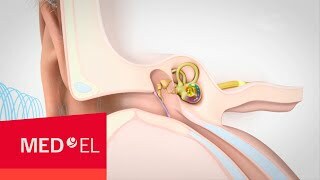 July 18, 2016 Innovative non-implantable system will expand MED-EL’s range of hearing solutions.July 15, 2016 – (Innsbruck, Austria) – MED-EL has announced the acquisition of the Adjoin bone conduction hearing system from the Swedish medical device company Otorix. 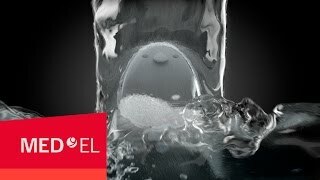 July 15, 2016 Approval Provides Historic Access to MRI for Cochlear Implant Recipients; July 14, 2016 – (DURHAM, NC) – Global hearing implant manufacturer MED-EL announced today the FDA approval of its COMBI 40+ cochlear implant as conditionally safe with 1.5T MRI with the magnet in place. June 6, 2016 The SONNET Audio Processor with the Micro rechargeable battery will be the lightest on the marketJune 2, 2016 – (DURHAM, NC) – MED-EL announced today the FDA approval of two new rechargeable battery options for the SONNET Audio Processor, Standard and Micro. June 1, 2016 Completely submergible behind-the-ear audio processor covers available late summer 2016.May 31, 2016 – (Durham, NC) – MED-EL announced today the FDA approval of the WaterWear accessory for its behind-the-ear (BTE) audio processors, OPUS 2 and SONNET, including the recently-approved SONNET Rechargeable Battery option. 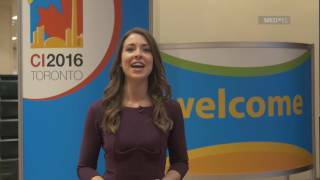 May 10, 2016 Listeners can Follow MED-EL to Tune In and Start Enjoying during May’s Better Hearing and Speech Month.May 9, 2016 – (DURHAM, NC) – In celebration of May’s Better Hearing and Speech month, hearing implant leader MED-EL announced the launch of their first-ever Spotify playlist designed specifically for cochlear implant users. 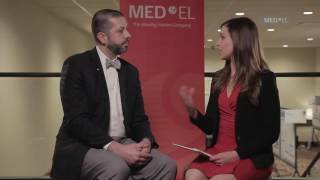 May 6, 2016 May 5, 2016 – (DURHAM, NC) – Global hearing implant leader MED-EL announced today the launch of the “Inside Story” interview series to provide consumers with an inside look at the latest cochlear implant research news. December 21, 2018 Myriam De La Asuncion, AuD, CCC-A, Annie Rodriguez, AuD, FAAA This course will introduce the unique needs of the Hispanic/Latino population as well as discuss ways to exhibit and implement cultural sensitivity and competency for effective counseling and delivery of hearing care services for this population. October 1, 2018 Amanda O'Donnell, AuD ADHEAR, MED-EL’s revolutionary bone conduction system, is comprised of an audio processor and adhesive adapter. ADHEAR does not apply pressure to the head, and is designed for all-day comfort, ease of use, and reliable, optimal positioning on the mastoid for consistent access to sound. 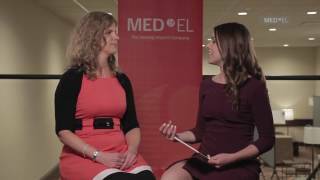 December 4, 2017 Allison Racey, AuD, Meg Dillon, AuD The study design and important outcomes from the US Clinical Trial for Electric-Acoustic Stimulation. Data collected from study subjects will be presented within the context of the clinical trial as well as from additional testing completed at the lead study site. October 14, 2015 MaryKay Therres One of the first things we need to know when we are working with children is how to play, so we should know play milestones that are appropriate for young children. The two key things we need to know when we are developing listening skills are auditory strategies that we can use to facilitate the listening hierarchy and the current level of a child’s skill and where we want them to go to. We also need to know appropriate goals at each level that will help facilitate acquisition of that skill. Then I will talk about these levels and goals with purposeful play activities. 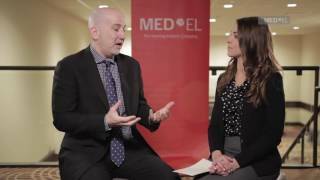 Why Might You Consider MED-EL's FLEXSOFT Array? August 6, 2018 Kevin Vukovich, MS, CCC-A Why might you consider MED-EL’s FLEXSOFT array for your cochlear implant candidates rather than a shorter array, a perimodiar array, or a mid-scala array? What Impact Did Implantation of the MED-EL EAS Cochlear Implant System Have on Residual Hearing Thresholds? 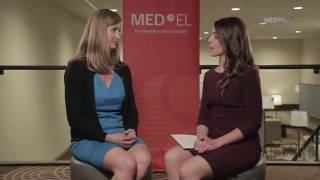 January 23, 2018 Allison Racey, AuD What impact did implantation of the MED-EL EAS Cochlear Implant System have on residual hearing thresholds? What Speech Perception Outcomes Were Observed in a Clinical Trial of the MED-EL EAS Cochlear Implant System? August 28, 2017 Allison Racey, AuD Can you provide an overview of the clinical trial for the MED-EL Electric-Acoustic Stimulation (EAS) Cochlear Implant System that demonstrated significant improvements in performance with EAS compared to pre-operative results with hearing aids? Who is a Candidate for an Electric-Acoustic Stimulation (EAS) Cochlear Implant? June 5, 2017 Allison Racey, AuD Who is a candidate for the MED-EL SYNCHRONY Electric-Acoustic Stimulation (EAS) Cochlear Implant System? 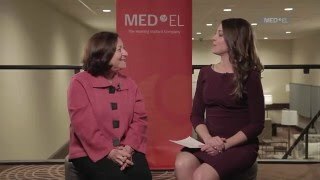 November 2, 2015 Darla Franz What makes the MED-EL SYNCHRONY cochlear implant design unique so that it can undergo a 3.0T MRI without requiring magnet removal? 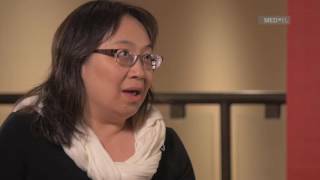 September 14, 2015 Darla Franz In addition to the fact that SYNCHRONY is approved for MRI scans up to 3.0T without magnet removal, what other benefits does it offer? 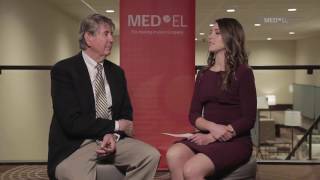 October 8, 2018 Patrik Westerkull, MSc Eng, PhD, Kim Twitchell, MS, Reg CASLPO Interview with ADHEAR inventor, Patrik Westerkull and Kim Twitchell, Clinical Education Manager for Bone Conduction at MED-EL Corporation, USA. 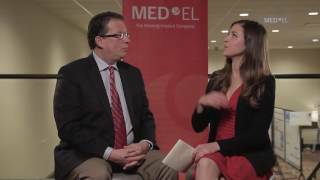 June 4, 2018 Martin Zimmerling, PhD Interview with Martin Zimmerling, PhD, Head of Implant Development/Research & Development, MED-EL worldwide regarding MRI and CI magnets.